Chaos has been unleashed and we all will be poorer because of Brexit, including in Africa. Boris Johnson, lead Brexit campaigner and odds on favourite to be the next PM. Credit: Andrew Parsons/ i-Images. Commentaries before the vote speculated on implications. First there’s trade. The UK is an important trading partner with Africa, and deals with the EU govern much of this. Only this month an EU Economic Partnership Agreement was agreed with the Southern African Development Community, allowing free trade access to Europe for some countries. Now all these arrangements have to be renegotiated bilaterally through the World Trade Organisation, and its 161 members. It will be a slow and costly readjustment, creating much uncertainty. Baffled by this madness, Chinese official commentary put in nicely, saying Britons were “showing a losing mindset” and becoming “citizens of a nation that prefers to shut itself from the outside world”. Then there is aid. The UK has been a substantial contributor to the EU aid programme, providing 2 billion euros, including 14.8% of the European Development Fund. While I would be the first to admit that not all of this was effective or efficient, it does allow a broader mandate than the increasingly narrow focus of the UK aid spend. And the UK influence on the portfolio has always been important. But perhaps more important than the flows of cash is the influence of the UK on European development debates. Whether in discussions on the impact of EU domestic farm subsidies on African agriculture or in providing input into the framing of development efforts, the UK government as well as British NGOs, think tanks and research institutes have been really important. This has been particularly so since the establishment of the UK Department of International Development in 1997 and the G8 Gleneagles agreement in 2005, and a commitment – amazingly across governments of different political hues – to a progressive aid agenda, particularly in Africa. This role in European positioning globally will be much missed. An “obnoxious and overbearing” new PM? The Brexit campaigners argued for ‘taking back control’ of aid and trade. But in a globalised world, this small island mentality is absurd. Britain thankfully no longer rules the waves, nor has vast swathes of the globe as colonies under its control. But sometimes the rhetoric suggests we do – or should do. This is of course naïve and arrogant, and betrays an extraordinary lack of understanding of contemporary global political economy. The UK’s diplomatic ‘soft power’ has been often exercised most successfully through the EU, as part of a joint commitment to change – whether around issues of conflict, migration or development. This allowed a common voice, and a more measured position. This was certainly the case in Zimbabwe. With, until recently, serial failures of UK diplomacy, the EU has provided a useful bridge and a more effective approach to engagement through a succession of EU ambassadors to the country who did not carry the colonial baggage of the UK Foreign and Commonwealth Office. This will be sorely missed. The UK voters who pushed for Brexit were worried about jobs, livelihoods and immigration. But those who will now lead the country do not have these concerns at the centre of their agenda. They have a vision of free trade and further economic liberalisation: exactly the processes that will undermine yet further the poor and marginalised who voted to leave. This is the tragic contradiction of the ‘democratic’ result, and will lead to more strife in the future. A cross-party and sustained commitment to internationalism, social democratic freedoms, human rights and inclusive global development, as enshrined in the Sustainable Development Goals, may not survive this sea-change in political fortunes in the UK. The racist slogans, posters and narrow nationalism that dominated the campaign reveal an uglier side to British (perhaps English) politics, most shockingly shown in the political murder of MP Jo Cox, a passionate campaigner for more progressive views on social justice and development. Who takes over in the UK following the resignation of Prime Minister David Cameron really matters. Not just in the UK, but in Africa too. At the last election in 2015, I argued that we should “be scared, very scared” about the prospect of a shift at the top of the Conservative party. Now such a change is certain, everyone should be very worried indeed. We don’t yet even know the candidates, but the political opportunist and lead Brexit campaigner Boris Johnson is at the head of the race. 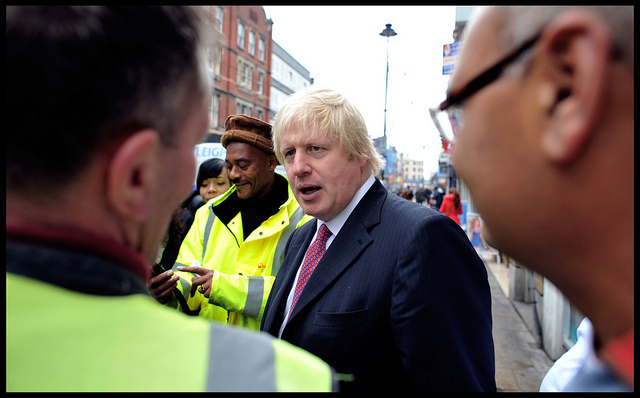 Johnson’s attitudes to Africa can only be described as backward and colonial. His slur on Barack Obama revealed much. His tales of his holiday in Tanzania frame Africa as a last wilderness, threatened by growing African populations, and could have come from a colonial explorer from the nineteenth century. His rants on Zimbabwe betray a shallow understanding of history and politics, and as one commentator described it, an “obnoxious and overbearing British imperialist mentality”. His close links with a certain section of the UK political elite (many in the House of Lords), who have consistently prevented a sensible debate on Britain’s relationship with Zimbabwe, show his political prejudices. It is not good news. With the pound collapsing, remittances to Africa will be more expensive for the diaspora, and the prospects of investment will decline. The chaos in the global markets provoked by this crazy populism will take time to stabilise, and will affect the poorest more than the rich. And the nasty side of British politics, rejecting a progressive internationalism, will undermine the UK’s standing in the world. We all will be poorer because of Brexit, including in Africa. This post appeared on Zimbabweland. It is likely Great Britain will now “look around twice” when the label is uttered. The surprise is that SHE alone “cut herself to size”. There is no longer anything except a tiny island call “SMALL-BRITAIN” . The implication for Africa is that there is no longer enough fish in the North Sea. But there are several wars surrounding the River Nile Basin: in Yemen and Saudi Arabia; in Iraq and Syria – including Turkey, the Lebanon and Israel – in Libya including Bukoharam inNiger and Nigeria; Central African Republic and Tchad. Of course, there is South Sudan, Somaliland and the skirmishes between Eritrea and Ethiopia. If I were that small Island whose former colonies are bleeding to death, I would come to rub the shoulders and say, “Why don’t you behave yourselves? I am going to sit on top of Jebel-Marra in Darfur, with 26000 UN Troops for ‘PEACEKEEPING’, and watch you become ‘Good-guys’. This could mark the beginning of a third wave for colonizing the Nile. The first was “Turko-Egyptian” in 1821; the second was “Anglo-Egyptian”; the third is most likely to be “Americo-Egyptian”. The Small-Ilanders ‘the British’ know much about world trade. For example, the East India Company had been chartered by Great Britain in 1600 to carry on trade in East Indies, dissolved in 1874. Similar companies were competitors, including; Dutch (1602–1798), French (1664–1769) & Danish (1729–1801).